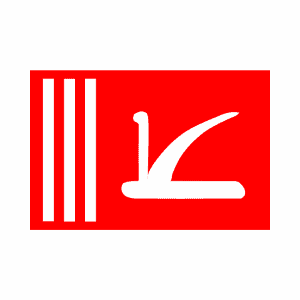 Srinagar: Expressing deep concern at the financial crisis facing the state Peoples Democratic Party (PDP) Wednesday said the Omar Abdullah government is pushing Jammu & Kashmir into a virtual financial emergency through its inefficient governance and politically motivated commitments. He said while market borrowings are a part of the state finances, these are to be used for financing capital expenditure and building assets. The problem with these borrowing is that it is being used to defray current expenditures like salaries and pensions and that too on the non-plan account. “This is surest route to a debt trap,” Drabu said. Giving reasons of the prevailing financial crisis, he said the real reason why the liquidity crisis has become binding is because of the institutional change which this government made: replacing J&K Bank by RBI as the lender of last resort for the state government. “Earlier J&K Bank would bridge this gap on call through the overdraft facility. Now, with the RBI as the banker, the state doesn’t have such an on tap mechanism to meet mismatches,” he added. Drabu said if the situation continues like this, the present liquidity problem will graduate into a solvency crisis which can result in a financial emergency. This would be yet another inglorious first of this government he said, even as the state government doesn’t have money to pay salaries and pensions on time, not to speak of advance payment ahead of the festival season, it is adding to its liabilities. Urging the government to immediately release salaries, pension, GP fund and other dues to the employees and pensioners ahead of the festivals Drabu said this government has failed even to follow the tradition of releasing salary and pension in advance of such occasions. He said there are reports of even regular employees of not being able to get salaries on time. The army of casuals, daily wagers and seasonal laborers this government has engaged on fake orders are not able to get even their standard token ‘Eid gift’ now which they were paid in lieu of their wages to perpetuate the fraud played with them in the name of employment, added Drabu. “Pensioners are suffering as their arrears and gratuity and even the sixth pay commission arrears have not been paid for the current year,” he said. Drabu said developmental works have come to a grinding halt as the government according to media report owes more than one thousand crore to the contractors and suppliers. He said while the chief minister has claimed to empty the already empty treasury on the ‘people’s welfare’ even the old age and destitute pension has been stopped by this government. In contrast, the chief minister and his team are announcing schemes and projects, new institutions with an eye on the next elections in the belief that they would continue to befool the people as the National Conference has historically been doing in the state, Drabu said.